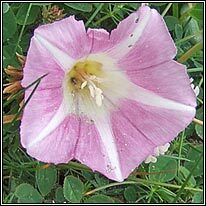 Pink trumpet-shaped flowers with white stripes. 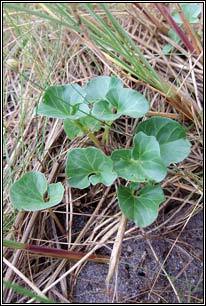 Round / kidney shaped leaves, fleshy, hairless. 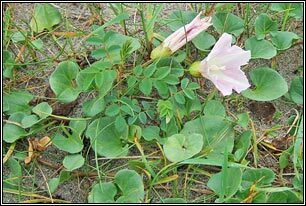 Prostrate, creeping stems. Locally common on coastal sand-dunes, rare on shingle. 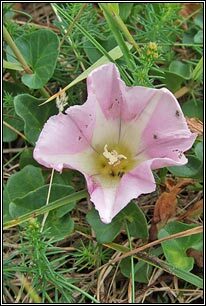 Similar: Field Bindweed, Convolvulus arvensis.